An areal photo released by the Yakima Valley Office of Emergency Management shows the location of the Miriam Fire. 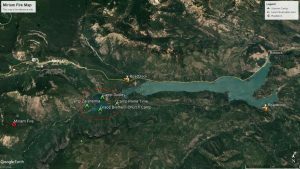 Campers at Clear Lake Grace Brethren Camp near White’s Pass, Wash., have been evacuated as a precaution due to the Miriam Fire. 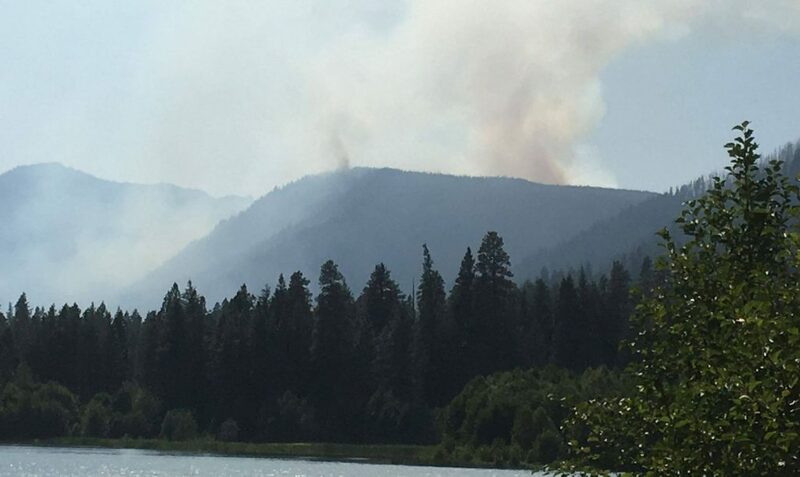 The fire, apparently caused by a lightning strike, began on Monday about three miles southeast of the White Pass ski area. It reportedly has already blackened about 35 acres of the Okanogan-Wenatchee National Forest. Children and employees from the Grace Brethren camp, as well as those at Camp Dudley, Camp Zarahemla, Camp Prime Time, and all campsites located around Clear Lake, were evacuated under a Level 3 order. Students were taken to a local YMCA, where they were picked up by their families. Yakima Valley Office of Emergency Management Facebook page.